Medicare’s online Plan Finder tool is the only significant source of unbiased information for the dizzying array of private Medicare insurance plans that people will be evaluating in the 2019 enrollment period, which just began and will extend through Dec. 7. There are more plans this year than in the past, and many plans, particularly Medicare Advantage plans, have added significant new coverage options. Informed use of Plan Finder is essential to navigating this increasingly complex Medicare landscape. As you likely know, original Medicare includes Part A hospital insurance and Part B coverage of doctors, outpatient expenses and durable medical equipment. About two-thirds of the 60 million people now enrolled in Medicare rely on original Medicare. The other third is enrolled in private Medicare Advantage plans. More than 43 million people who use both original Medicare and Medicare Advantage have private Part D drug plans. And roughly 10 million people with original Medicare also buy private Medigap supplement insurance, which helps pay for things not fully covered by original Medicare. If you are satisfied with the 2019 provisions of your plans, you need not do anything and your coverage will automatically renew next year. However, research from Medicare experts, such as those at the Kaiser Family Foundation, have concluded that people often could save money and get better coverage if they switch plans during the open enrollment period. This is where Plan Finder comes in. The tool can be hard to use and has been found lacking in detailed studies, including in the journal Health Affairs and another sponsored by the National Council on Aging (NCOA). The Centers for Medicare & Medicaid Services (CMS), which oversees Medicare, has made some solid improvements to the tool this year, including trying to simplify the process of selecting Medicare policies. The primary Plan Finder website now contains updated information for 2019 Medicare Advantage and Part D plans. There also is a Medigap Policy Search website. I recommend that people also call the local office of the State Health Insurance Assistance Program (SHIP), which provides free Medicare counseling, is publicly funded and does not favor individual Medicare plans or insurers. SHIP counselors spend a lot of time helping callers use Plan Finder. Taking the time needed to understand your Medicare choices is important. I also urge people to take their time. All enrollment decisions will take effect next Jan. 1, even those not made until Dec. 7. Taking the time needed to understand your Medicare choices is important. This process began with the annual plan documents that people enrolled in Medicare were supposed to receive from their private Medicare insurers by the end of September. Their formal names are the Annual Notice of Change and the Evidence of Coverage. Between them, these annual statements highlight new features, costs and detailed coverage explanations of the plans people already have. As a Medicare user myself, I was particularly glad to see that Plan Finder is now automatically linked to my personal Medicare information. If you do not have a My Medicare account, you should open one. It is a great way to track your Medicare claims. It also holds my personal formulary of the prescription drugs that I take. So, when I went to Plan Finder this year, it invited me to log on to My Medicare account. When I did so, Plan Finder was already loaded with my prescription and pharmacy information. It quickly provided me with three lists of plans available to me – stand-alone Part D drug plans, Medicare Advantage plans with drug coverage, and Medicare Advantage plans without drug coverage. I faced a mind-numbing choice of 27 different Part D drug plans, but that’s not unusual this year. One market I tested in California provides a choice of 44 plans! However, it was a relatively simple matter to look at how different plans would charge me for my medications. Like many people, I prefer going to my neighborhood pharmacy, so once I filtered my plan selections to retain that preference, there were only a handful of plans still in the running. Plan Finder automatically displayed the 2019 details for the drug plan I already have. You can compare up to three plans at a time, so I was able to look at my plan next to two others of interest to me. While Plan Finder had some outdated information, overall it was very helpful and easy to use. I can’t say the same about Plan Finder’s Medicare Advantage information. Original Medicare lets people use any doctor in the country who accepts Medicare. Medicare Advantage plans use provider networks of doctors who work with each plan. Some plans limit care to their networks; others let you use doctors outside the network but may charge higher rates for doing so. Plan Finder provides a numerical range of the size of a plan’s network but no details on who is in it. There is a provider network link to the insurer’s website, but the ones I tested took me to general welcome pages. From there, finding my doctors was difficult. In practice, I recommend forgoing Plan Finder for this and simply calling your doctors’ offices to ask them which plans they work with. You should also confirm this information with whatever plan you chose before you enroll. In some cases, it is best to simply call your doctors’ offices to ask them which plans they work with. I also sought in vain to find details of new supplemental covered benefits that some Medicare Advantage plans have added for 2019, such as transportation to doctors’ appointments and home-delivered meals for people who have been discharged from hospitals. 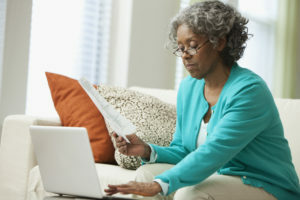 Medicare has also created some new online tools to simplify the enrollment decision. It has a five-question tool that, when answered, provides guidance on the types of Medicare policies that make the most sense. However, according to Howard Bedlin, who worked on the NCOA’s Plan Finder study, these questions are too simplistic to provide an accurate recommendation for something as complex as a Medicare Advantage plan. “The big question is whether your doctor is in the plan’s network,” Bedlin said, and Medicare doesn’t raise that matter among the five questions it asks. Medicare also has unveiled an online tool to estimate Medicare costs, but this tool is so general that it does not have much value. “It’s too focused on premiums and doesn’t really reflect the trade-offs between lower premiums and higher cost-sharing,” Bedlin said. The tool doesn’t ask about specific drugs a person may be taking, either. The NCOA study recommended numerous Plan Finder improvements, and Bedlin said CMS has made a good start on some of them. However, more specialization is needed. Many 2019 plans, for example, have new benefits that he says simply cannot be found using Plan Finder. “Increasingly, people are going to be making decisions using web-based tools,” he said, and Plan Finder needs continued improvements to keep up with the new Medicare plans and features that insurers will be offering. Brian McGarry, a co-author of Health Affair’s study of Plan Finder, commends CMS for making improvements to the tool, but also says much more needs to be done. Medicare insurers are moving away from standardized coverage toward tailored benefits. 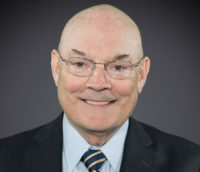 “Notably, users cannot include a Medigap policy in their plan comparisons, and there is also not an easy way to assess provider networks for Medicare Advantage plans (a searchable provider directory is sorely needed here),” he said via email. Medicare seems to think people first decide on the types of Medicare they want, he said, such as original Medicare or a Medicare Advantage plan and then use Plan Finder to research specific plans. In practice, McGarry says the process is more fluid, with the coverage features and prices of individual plans affecting the type of coverage a person selects. He also emphasized, as did Bedlin, that there is a difficult trade-off between making Medicare decisions simpler versus reflecting the increased detail and personalization that insurers have begun making available. Behavioral research has found that people often make better decisions when they have standardized, easily explained choices. However, Medicare insurers are moving away from standardized coverage toward benefits tailored to an individual’s needs and preferences. Tailored medicine is widely supported, but it will be an elusive goal if the people it’s intended to serve do not understand their choices or what their best decisions even look like. Left: Navigating the options during the Medicare open enrollment period can be overwhelming, but the Plan Finder online tool can be helpful to narrow down your options.